Get the space you were looking for with the essentials and a style you will love. At Preserve at Cypress Creek, we offer six spacious one, two, and three bedroom floor plans to select from. Our one bedroom, one bath apartments range from 553 to 754 square feet. Two bedroom, two bath apartments are a roomy 1054 to 1134 square feet. 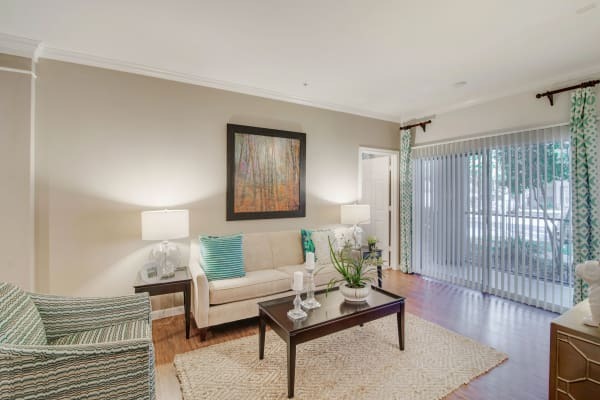 Three bedroom, two bath apartments are a spacious 1262 square feet. Our layouts are open and bright, with 9-foot ceilings and large windows to flood your apartment with beautiful natural light. You’ll feel like home the second you walk in. Select the floor plan that suits your lifestyle then get in touch to schedule a personal tour of our beautiful apartment homes. You will be glad you did.